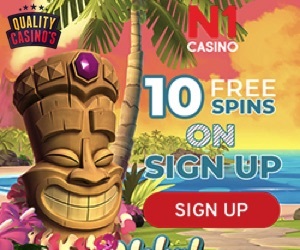 Videoslots Review - Quality-Casinos.com - 11 FREE Spins & €10 Free! Please enjoy this Videoslots review. The Quality-Casinos.com tried to make an as good as possible Videoslots.com review. Videoslots opened their doors in the beginning of 2011. Because Videoslots is such an experienced player it is all very well organized at their casino. In this review we tested their website, their welcome bonus, their customer service and many more. In the overview below you will see a little explanation about 10 different point where we judged Videoslots on. Did we convince you with making you this review? Quality-Caisnos.com arranged you a very nice Videoslots Welcome Bonus to try out the Casino! Videoslots is available in English, Finnish, Swedish, and Norwegian. For players from Belgium, Israel, Denmark, USA and Turkey it is not possible to play at Videoslots.com. 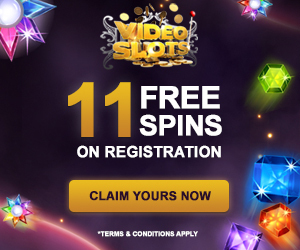 After you completed your signup at Videoslots.com you are able to claim 11 Free Spins. You don’t have to make any deposit to redeem this Videoslots bonus. One small minus is that you are only ably to play these 11 Free Spins on the Starburst video slot machine. But free is free, you cannot be sad about it. On top of this Videoslots No Deposit Bonus, the casino gives their new players a one-time 100% Match Up Bonus. Up to a maximum of €200. The wager requirements are pretty good. You have to wager this Match Up Bonus only 20 times. Comparing to other casinos these terms are amazing. We did research on Casinos which are having wager requirements of 40 or even 50 times. But this Match Up Bonus does not complete the Videoslots Welcome Package. 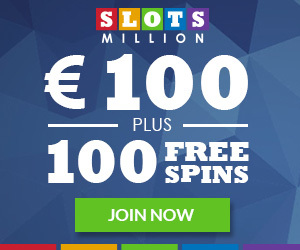 On top of the Videoslots No Deposit Bonus and the Videoslots Match Up Bonus, Videoslots.com gives every new player a €10 Free Cash Bonus on their first deposit. This last one has to be wagered only 2 times. Our Quality-Casinos.com Testteam really never saw this before. 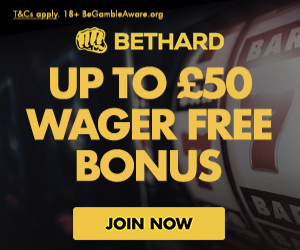 * Quality-Casinos.com always advises their visitors to read the Casino Bonus terms & conditions, before they start to play at a particular online casino! Making this Videoslots Review we found out that Videoslots provides a great Live Casino. This Live Casino is totally provided by one of the best software suppliers on this Casino earth. You will find Games like Live Blackjack and Live Roulette with different ranges of bet-levels. The software works very smooth and the dealers are always funny and friendly. Like a lot of Online Casinos these days, Videoslots offer their players a very smooth and good looking Mobile Casino. Almost all their games (750+) can be played on almost all mobile devices like iPhones, iPads, Android Phones, Android Tablets and many more. So it doesn’t matter if you are laying in bed, sitting on your couch or sofa. You are able to play everywhere you are! The game variety of Videoslots Online Casino is really really crazy! In april 2017 Videoslots offers almost 2000 Casino Games on their casino website. This is incredibly high. Our testteam was very impressed by this amount of games. It makes it very easy when you are getting bored by playing 1 slot machine to switch to another slot machine. The Videoslots mobile casino is offering more than 750 games which can be played on almost any mobile device you’d like! Like we mentioned before, Videoslots offers a Live Casino as well. Games like Blackjack and Roulette can be played with real casino dealers. Besides the Mobile and the Live Casino, games can be played normally. The amount of almost 2000 various games is really crazy! All those games are designed by more than 20 high quality and well respected software suppliers. Suppliers like NetEnt, Microgaming, NextGen, Betsoft, Playtech, Quickspin and many many more are delivering their games to Videoslots.com. Almost every week Videoslots adds new games to their online casino. Are you a highroller and do you like to win big? Than feel free to try 1 of their plus minus 50 games connected to one of the progressive jackpots! Another nice detail of Videoslots.com we found out while making this Videoslots Review is that they are always improving their casino gameplay! An example of this nice behavior is that they added a function which makes it able to play at 4 different games at the same time. It is also possible to play the Videoslots Battle of Slots. It is like poker tournaments. You can subscribe to one of the available battles which are available in their tournament lobby. Bets or Buy-ins are starting from €1 to a maximum of €100. You play with points against other Videoslots players. The players (1-2-3) with the most points can earn some very nice cash winnings! In this case video slot machines will not cash out money on winlines, but points. Do you want to see more of Videoslots.com? Sign up for a free personal account and claim your Videoslots Welcome Bonus. Videoslots Review; They opened their doors in 2011. A small group of Swedish casino lovers launched the Videoslots website with the thoughts of competing and beating the biggest available online casinos. Well… They are on their way to achieve this goal! They have a great customer support, very nice gameplay, good bonuses and many more! Videoslots owns 3 types of Online Casino Licenses. Which makes them very reliable. It is not very easy to get Licenses from UK, Malta and Curacao. Videoslots’ owner is Panda Media Limited. The atmosphere in the casino is pretty good too. Everything is well designed and with the Videoslots background playing at Videoslots.com will be super exiting! You will be thrilled when you become a frequent player at Videoslots. You will find some great and well-known NetEnt designs everywhere you look. Playing at Videoslots is very smooth. Games are fast and loading quick. The menu is very convenient and for example if you are searching for Videoslots’ customer service you’ll see it right away in the topbar of the Videoslots website. Cashing out your winnings at the Videoslots Casino is pretty easy and goes very fast. For withdrawals the setup a threshold of €20,00. Your money can be paid out in the following currencies: EUR, USD, GBP, NOK, SEK, AUD and CAD. All withdrawals will be done between 07.00 am and 23.00 Central Europe Time. In the worst situation payouts can take up to 5 business days, but we did not experience that. All payments are protected by a high quality SLL-Certificate. It is impossible for criminals to break in this connection and steal your personal details. Your banking details will be safe and secure between you, your bank and the casino. Do you want to see more of Videoslots.com? Sign up for a free personal account and claim your Videoslots Welcome Bonus. Maybe you can cash out some nice winnings too! The Videoslots Customer Services is trying to keep all their players more satisfied than satisfied. Probably they are hoping you don’t even need their helpdesk. But when you need it they are doing their very best. Their support is available in 5 ways. They offer a LiveChat, they can be contacted by e-mail, they published a real (offline) address, you can call them and they are offering a FAQ section on their website. We have to admit, that we found out while making this Videoslots Review, they are not hiding for mistakes or complaints. Videoslots is doing everything in their power to keep their players satisfied. On this point in the Videoslots Review, Videoslots is scoring the best of all the online casinos we reviewed till now. They are offering more VIP programs than you can imagine. They even offer Cashback on your bettings! This is some kind competition with other player. The more you play, the higher you get in de race. The higher you get. The more money you will earn. Each week a new Casino race starts. Payouts are every money, a nice detail is, payouts will be on your bankroll and not on your bonus account! This is what it says it is. Every player gets casino cashback on all their plays and bets. It is set on a certain percentage, which you can find in Videoslots terms & conditions. By playing certain games or getting certain (big) wins in particular games. You will get rewards from Videoslots.com. We didn’t found out if this is randomly, but we can tell you it was a lot! Actually we got rewarded a lot of times by making our Videoslots Review. The Videoslots Free spins were able to be played at a various range of games. They weren’t only playable at NetEnt games, but they can be redeemed at other suppliers as well. 1 note; Videoslots decides which Videoslot. All those rewards can be viewed in your personal account. Do you want to see more of Videoslots.com? Sign up for a free personal account and claim your Videoslots Welcome Bonus. We are pretty sure you will be rewarded too! We may definitely conclude that Videoslots is one of the best online casinos we reviewed so far. The number of games is amazing, the casino is well designed and their bonuses and rewards are stunning. Their high quality customer service is very friendly and payments can be done very safe and secure. 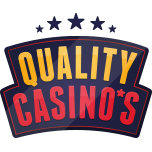 Quality-Casinos.com is not part of, or related to, any commercial online casino. 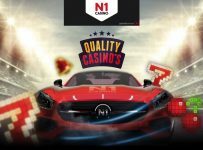 Quality-Casinos.com is an independant online casino review platform which is trying to give their visitors the right information! Gambling involves risks and Gambling can be addictive. Play responsible. Don't gamble with money you don't have and only gamble with money that you can miss. The information on Quality-Casinos.com is only meant for visitors over 18 years of age.